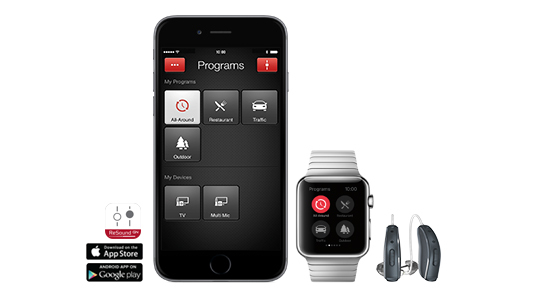 Everything you need to know about ReSound LiNX hearing aids and the ReSound Smart App. The Smart App gives LiNX wearers unprecendented control over their hearing devices. The world’s smallest wireless RIC (receiver-in-the-canal) hearing aid has just been launched by Unitron. 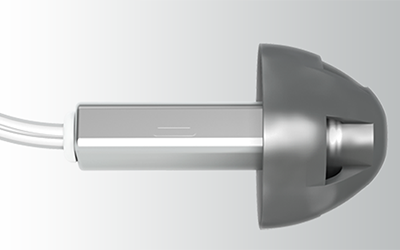 Moxi Now is the smallest hearing aid in it’s segment, giving hearing aid wearers a discreet and modern hearing solution. The Now is designed to help balance speech understanding and comfort in a comfortable and attractive package. Built on the North platform, these devices include powerful and innovative features like SoundNav, Sound Conductor and Binaural Phone. Both comfortable and stylish, the Unitron Moxi Now is proof that small things can make a big impact. Unitron is a Canadian company that recently celebrated it’s 50th year in the hearing aid business. in 2015, they launched their breakthrough North processing platform. It automatically identifies and classifies seven different listening environments, with four of those aimed specifically on conversations. The new algorithm successfully enhances both speech signals and wearer comfort, leading to meaningful enhancements over previous platforms. Combining this powerful technology with the aesthetically-pleasing Now design is sure to be a hit for hearing aids wearers across the globe. 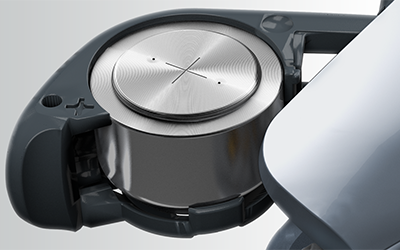 The Resound Smart App for Resound LiNX allows wearers to control volume, bass and treble while on the go. They can also save favorite programs that they can turn on when they want, all from their Android or iOS smartphone. No more having to draw attention and touch the hearing aids to make adjustments. There features in this app give LiNX wearers unprecendented control over their hearing devices. Speech focus enables the ReSound LiNX 3D wearer to adjust the focus of the hearing aid and zoom in on a sound source or speaker. Wind noise and other distracting sounds in noisy environments can be reduced by making adjustments from within the app. With a combination of pinna restoration, binaural compression and a dynamic optimization of directionality settings, the hearing aids continuously exchange data to select the best directional response for any listening environment. Delivers vivid spatial awareness with exceptional sound quality, and as background noise levels rise, your patients can zoom in on the sounds they are interested in without losing the sense of what is going on around them. The hearing aids work together to analyze and accurately classify the listening environment, automatically adjusting gain and noise reduction settings. Your patients can enjoy optimal audibility and listening comfort even when moving through rapidly changing sound environments. A unique spectral subtraction technology reduces unwanted noise without degrading the speech signal. Improves your patients’ comfort in noisy listening situations without compromising speech understanding. High-frequency sounds that are not audible due to high-frequency losses or cochlear dead regions are moved down in the frequency spectrum. A proportional relationship between input and output frequencies is maintained to minimize distortion. Improves the audibility of speech cues that would otherwise have been lost, while maintaining the best sound quality possible. Better precision and scaling in DFS Ultra II enables the adaptive filter to cancel feedback more accurately. Music Mode analyzes the sound input over a longer period of time, resulting in better accuracy in distinguishing true feedback from other tonal input sounds. Patients can now enjoy extra comfort, better audibility and all the subtle nuances of rich sound, even in the most challenging situations. 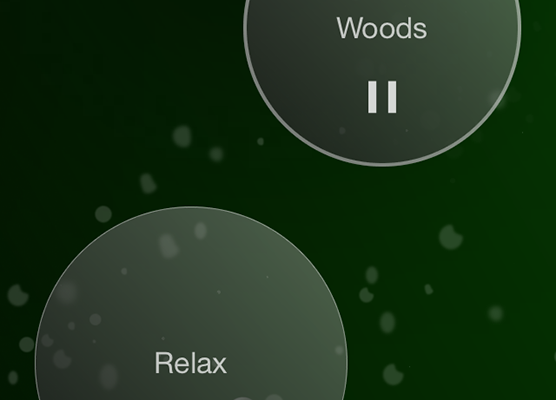 Music Mode gives patients a clearer, richer, distortion-free music experience. Patients can choose from tinnitus therapy sounds, new Nature Sounds™, or their preferred sound streamed directly to their hearing aids. The ReSound Smart and ReSound Relief apps provide even more options for managing tinnitus. Helps break the “cycle” and provide relief from tinnitus by diverting attention away from tinnitus with a wide range of soothing background sounds. Try the latest hearing aid technology from a local hearing care provider. Try the latest in Resound hearing technology from a local hearing healthcare provider. Risk-free trials of Resound hearing aids offered by local, independent hearing care providers.